India have lost two away Test series in 2018, against South Africa (1-2) and England (1-4). This was after both tours were seen as best chance for Virat Kohli's men to set the poor overseas record straight. India are yet to shed their “poor travellers” tag but head coach Ravi Shastri feels that it’s unfair to pick on one particular side when most of the nations have fared poorly on away tours. India have lost two away Test series in 2018, against South Africa (1-2) and England (1-4). This was after both tours were seen as best chance for Virat Kohli’s men to set the poor overseas record straight. Asked how important it is for India to win the series in Australia, Shastri said:”You have got to learn from your mistakes. When you go overseas and when you look at teams that travel around now, there aren’t too many sides (that travel well). “Australia did for some time in the 90’s and during the turn of century. South Africa did it for a while and other than these two,in the last five-six years, you tell me which team has travelled well. 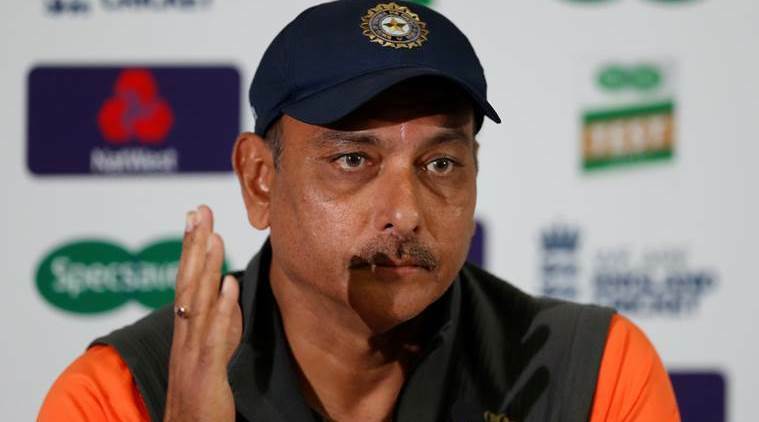 Why pick on India?” questioned Shastri. Questioned whether he or skipper Kohli has spoken to the team as to why they lost in South Africa and England, Shastri said that it was all about “seizing big moments”. “We have spoken about seizing the big moments. If you look at the Test matches, the scoreline really doesn’t tell you the real story. There were some real tight Test matches and we lost some big moments badly, which cost us the series at the end of it. “It could have been an hour in a session over four days whether it was SA or England. Either as a batsman or a bowler and see what happens after that,” the coach said in his team’s defence. Shastri refused to believe that Australian team has lost its aura after what all happened during the past few months. “I don’t think so. I think once you have a sporting culture in you, you will always have that. I have always believed that no team is weak at home. We might have three or four players not playing when a team comes to India God forbid but if anyone thinks it’s a weak team, you will be surprised. “Similarly, we are taking no prisoners and we want to go out and put our best foot forward, focussing on our game rather than focussing outside,” he sounded cautious. He is confident that his pacers will enjoy bowling on Australian pitches. Shastri broadly dropped a hint that injured Hardik Pandya’s absence robs them a chance to play an extra bowler. Even former Australian batsman Mike Hussey recently spoke about how Pandya’s absence can hurt India. “One player we will miss is Hardik Pandya, who has had an injury. He gave us that balance as a bowler as well as batsman, which allowed us to play that extra bowler. Even now we have got to think twice. Hopefully, he will get fit soon and if fast bowlers do well, we might not miss him then,” the former all-rounder said. Asked if this is the best chance for India’s fast bowlers, Shastri said it will depend on if they can maintain “sustained intensity” for a long period of time. “It doesn’t matter what line-up they play as long as they are consistent. In the past, we have had one or two bowlers doing well in spells, but bowling as a unit for three, four or five hours with sustained intensity, if that comes into play, no matter which batting line-up you are playing against, you will be tested,” he added.